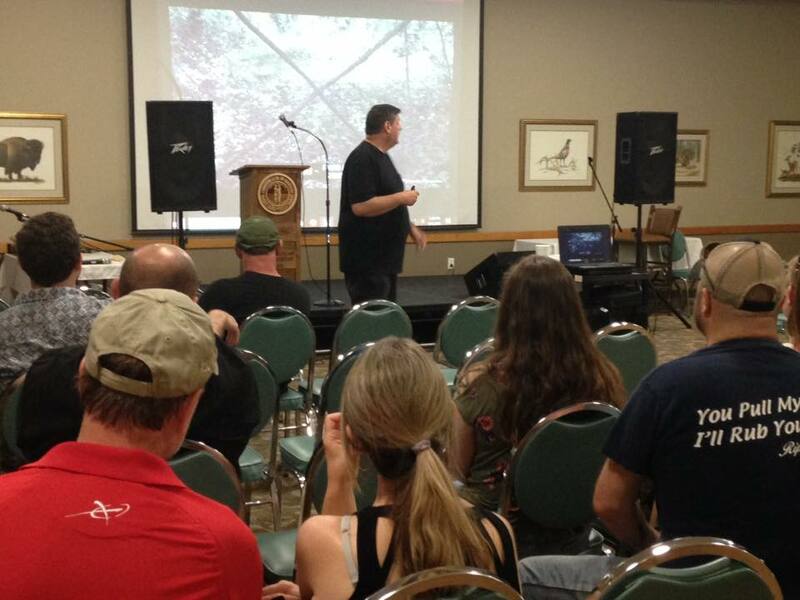 This past Saturday we had the first every Pine Mountain Paracon. This event was hosted at the beautiful Pine Mountain State Resort Park. If you have never been to Pine Mountain, you own it to yourself to make the trip. It is such a beautiful area, with loads of hike trails, things to see and even a zipline. And the food is terrific. The Paracon featured several presentations on various topics combined with some local musical talent in between presenters. What made this event stand out was that not only was it a free event, it was an all day event. 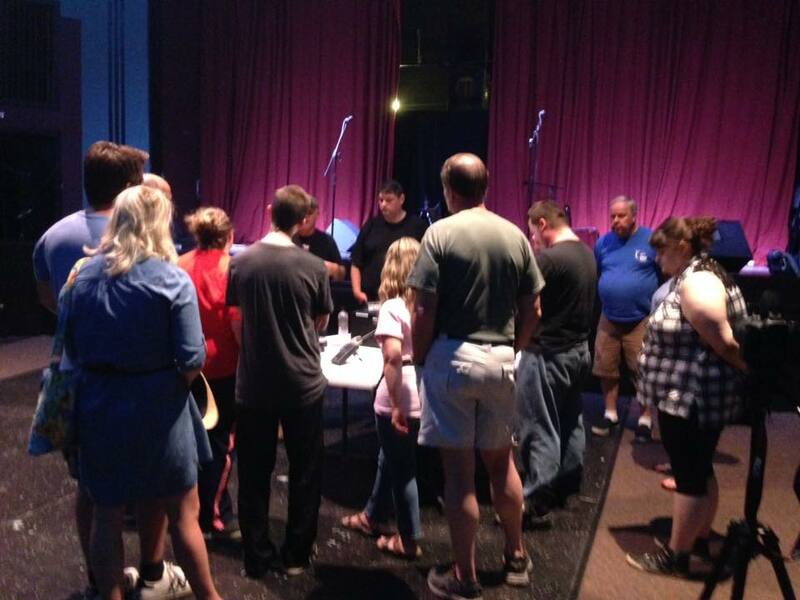 The doors opened at 11am and we finished off downtown at the Bell Theater for a live ghost hunt. The Paracon lasted until 10 pm. I can tell you my legs and feet were wore out. While the overall attendants was less than we had expected or hoped for, the event was still successful and productive from my point of view. I got to meet some new people with similar interest and I got to meet several fans. I know of several people who came to the event just to meet me and hear me speak. Some of them drove a pretty good distance as well. That is a good feeling when you have people who drive just to see you. I really appreciate it and it was totally my pleasure to meet them. I had a pretty good group of people in the room for my presentation. 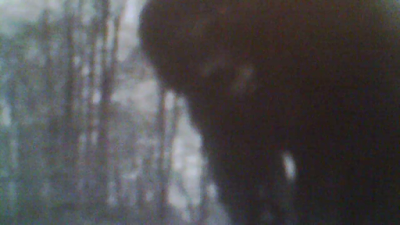 I presented a lot of Bigfoot information that ranged from "what it takes for Bigfoot to survive" to pictures and videos of Bigfoot. I also covered topics about tracks and stick formations. What some people may not know is that I'm actually a rather shy person. I often find it very difficult to get up in front of people and do my presentation. I sometimes get extremely nervous, blush and say "uh" way too much. But even through all of that, in the end I usually enjoy myself. I truly hope people leave my presentation with information that can be helpful to them. If they were on the fence, I hope the information and research I share helps them realize that Bigfoot is indeed a real creature. That is another thing about my presentation. The majority of information I share is either my own personal research or something from one of our team members. I do share some historical images and information, along with some of my friends work. If something I want to share is from a private researcher, I get permission to share it first. Of course, with public historical evidence, it is more open to use but I try my best to always give credit while speaking to any material I use. As I stated, this was a very long, all day event. My day started around 6:30 am and ended around midnight when I went to bed. We finished off the event with a Facebook Live ghost hunt of the Bell Theater. We had a pretty good group of guest for this part of the event. We had paranormal investigator Carlos Bustabad from PFC Paranormal as a guest at the ghost hunt. He just so happened to be staying at the resort and seen where we were having the ghost hunt. It was great to meet him and he is a really nice guy. He was also a good investigator and helped us out a lot. Plus, believe it or not, he is a certified hypnosis. How often to you randomly meet a hypnosis? Not very often I'm assuming. Showing and explaining equipment before the ghost hunt. During the ghost hunt we had numerous spikes in activity with every thing from K2 meter hits to voices on the ghost box. Almost, if not everyone, witnessed some type paranormal activity during the investigation. In case you missed the live feed of the investigation, you can find it on Harlan County Paranormal Society Facebook Page. 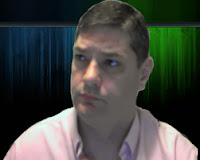 I think some of the EVPs captured are still in evidence review but I assume they will be posted up in the near future. Tom, I wished I'd been there for your presentation and the other events. However, traveling with three horses is out of the question for a while to come. I was raised to be orator from earliest childhood. I come from a long line of Ministers, church laymen, selectmen, and public speakers. It was something my parents insisted on me doing. Wherever, and whenever they could get me center stage in front of friends, and family on the common in front of the library, at church and civic activities reciting Daniel Webster, Joshua Chamberlain, or just presenting historical perspective or precepts they did. It paid off too because I was able to present oral presentations in Speech, and Communications and advance with A grades without attending the semester, and/or year-long class. Naturally the Army selected me as an Orator for speeches, and films, and as a moderator in the Pentatagon for conducting General Officer Briefings. I can tell you flushing is natural, pre-speech jitters never go away, the "ums" take practice, practice, practice. Having heard you live, nearly live, and on tapes and video I can say you do just fine getting the meaning and the material across to the audience. I've always enjoyed your presentations. thank you. maybe someday our paths will cross.